Luke Bryan’s biography is one worth your time reading. Having overcome two life halting tragedies earlier in his life, he has gone on to become one of the greatest country music singers in the US. Aged 42 years, he is a multiple award winning artist with a net worth of $70 million dollars. 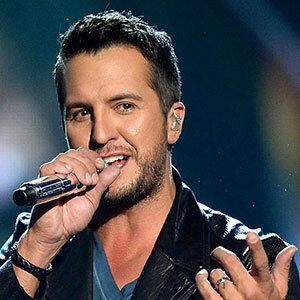 There is a lot about Luke that most people do not know, here are some amazing Luke Bryan facts that will blow your mind. Luke Bryan was born on 17th July 1976 to LeClaire and Tommy Bryan. Tommy and his wife LeClaire originated from Nashville in Tennessee. Luke's father made a living as a peanut farmer, and alongside him, Luke Bryan's family was made of two other kids; Luke's brother Chris and his sister Kelly. Chris died when Luke was 19 through a car accident, and Kelly passed on in 2007 of an unknown cause. He describes the deaths of his older siblings as a heartbreaking event. Luke was raised and schooled in Georgia and only moved to Nashville in 2007. Also stated in Luke Bryan's bio is that he attended the Georgia Southern University in Statesboro, Georgia from where he graduated with a Bachelor’s degree in Business Administration. Luke Bryan's bio states that he did not initially start as a singer but as a songwriter for country music singers Billy Currington and Travis Tritt. From these two, Bryan was able to transition into the music scene slowly. The real push came in 2007 when his dad asked him to pack his bags and move from Georgia to the family home in Nashville. Here, Bryan got signed to Nashville Records and released the first of his six music albums in 2007 called "I'll Stay Me". Kelly, Bryan's sister, was instrumental in the promotion of this album and even organized a gathering of friends for his debut several days before her demise. Among the first of his songs in his career was "All My Friends Say" which garnered him a lot of fame. Luke Bryan's family is a tight-knit unit made up of him, his wife Caroline Boyer and his two sons; Thomas and Christopher. Bryan and Caroline met while they were still students at the Georgia Southern University. Bryan was in his final year, and Caroline was still a freshman. Bryan is known to keep his family life private and has not been rumored to have any extramarital affairs or any scandals. Caroline and Bryan got married in 2006 and have been together for 13 years. Their wedding was a small ceremony that was attended by friends and family. By this time, Bryan had not made it big in the country music scene yet. Theirs is a story of love that triumphs. Bryan has been nominated for many musical awards in the span of his 12-year musical career. One of the most amazing Luke Bryan facts is that he is among the most decorated country music singers. At the 2012 American Country Awards, he made a clean swoop of all the nine awards that he had been nominated for. This success positioned him firmly as a legendary country music artist. In total, Bryan has won 36 Awards since he made his debut in the music scene and he keeps at it. More awards are expected to come his way, especially after the release of his next album that has been said to be in the works.